A Backgammon set to appeal to all your senses. Designed by an engineer with over a decade of board-making experience. 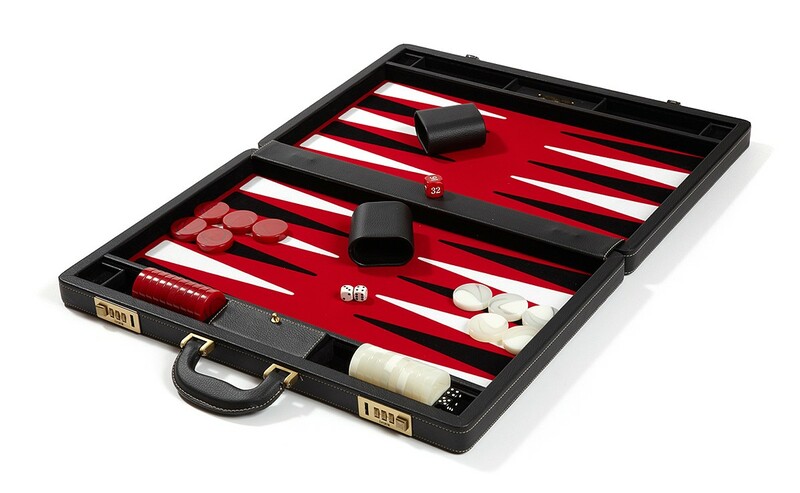 Decadent colors and a unique, silent velour playing field make this backgammon set the choice among serious players and professionals. A luxurious blend of unparalleled design and artisanal craftsmanship. 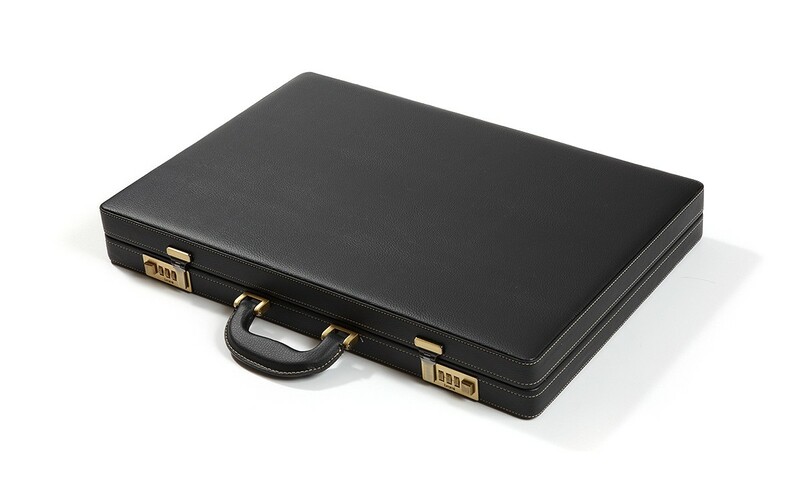 Size (closed): 22" x 15" x 3"
Size (open): 22" x 30" x 1.5"
Sturdy, double-stitched, metal hinged leatherette attache carrying case w/ rugged handles. This product requires 1-2 weeks for delivery.